A slow-releasing drain could indicate larger plumbing problems lie just beneath the surface. A clogged or damaged drain should be treated immediately, and the Pipe Surgeons team is the experienced Melbourne, FL plumbing company you need to call. Our team of professional plumbers in Melbourne and the surrounding areas can help clean and repair your clogged drains. Whether it’s the master bathroom toilet or the garage floor drain, our technicians are expertly trained in how to handle any number of clogs. What many home and business owners don’t realize is that leaving a clog untreated can severely damage your Melbourne pipes. A blockage has the power to expand within the pipe, completely closing off the ability to drain or flush waste from your home. An untreated clog also increases the corrosion rate within the pipe and, overtime, could force raw sewage back up through the drain when it has nowhere else to go. The plumbing system in your home naturally deteriorates with age and continuous use. Buildup within the pipes makes clogs and blockages more likely. Routine Melbourne drain cleaning will help avoid major blockages and extend the life of your plumbing. When used as a preventative tool, drain cleaning can help you avoid sewage odors in your home, invasive tree roots in your pipes, and clogged drains. Hydro Jetting: An environmentally-friendly way to clean your Melbourne pipes is using the power of extreme water pressure. Hydro jetting forces water through your pipes at 4,000 PSI to completely clear debris and clogs. Rooter Cable: This traditional method of removing clogs involves our experts using a cable to force the clog out of the drain. This is ideal for eliminating small-scale clogs that aren’t particularly dense and are comprised of organic materials such as food and hair. Sewer Main Rodding: When blockages or clogs prevent wastewater from draining correctly, sewer main rodding is used. Clearing and cleaning your pipes at least once a year will ensure that your sewer main is functioning correctly and wastewater ends up where it belongs. While our technicians can complete any immediate need for Melbourne, FL drain cleaning services, it’s good plumbing practice to make pipe jetting a routine part of your preventative plumbing care. 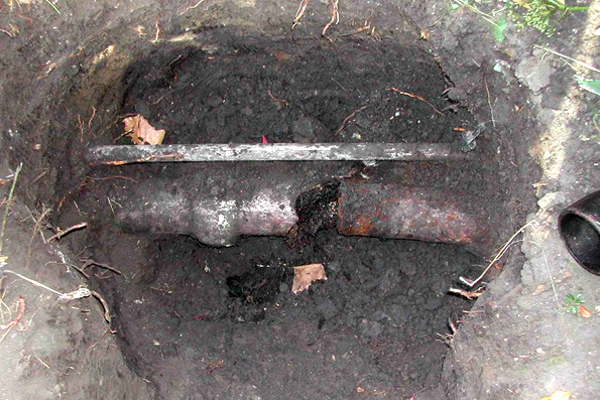 The Pipe Surgeons team realizes that clogs can occur anywhere in your home. From the laundry room utility sink to the main sewer line. Our advanced equipment allows us to effectively handle any drain cleaning need. Our skilled technicians are ready to handle any plumbing challenge or professional drain cleaning need you have. Pipe Surgeons is the team to call when you need Melbourne drain cleaning. You can rest assured that our team will be respectful of your time, transparent with our services, and leave your home in pristine condition. Schedule your drain cleaning Melbourne appointment with our team today.